I’ve been asked by Pim to participate in the gift-giving drive for “A Menu for Hope,” the annual food blogging event for charity that is to benefit the victims of the earthquake that recently hit Kashmir. In order to encourage as much giving to the great cause of helping these unfortunate folks in Kashmir, various food bloggers are donating gifts to be raffled off with each five dollar donation. The way it works is simple. When you log into the Menu For Hope donations page, you write in the comment section of the form which of the gifts from the bloggers you would like have a chance at winning, thus entering into the raffle for that gift. And yes, with each five dollar donation, you can enter the same raffle more than once, or enter a new one. There are lots of goodies listed on Pim’s post, and more are coming with each hour. 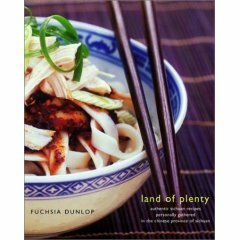 In addition, I am sending a brand new copy of Fucsia Dunlop’s excellent Sichuan cookbook, Land of Plenty. 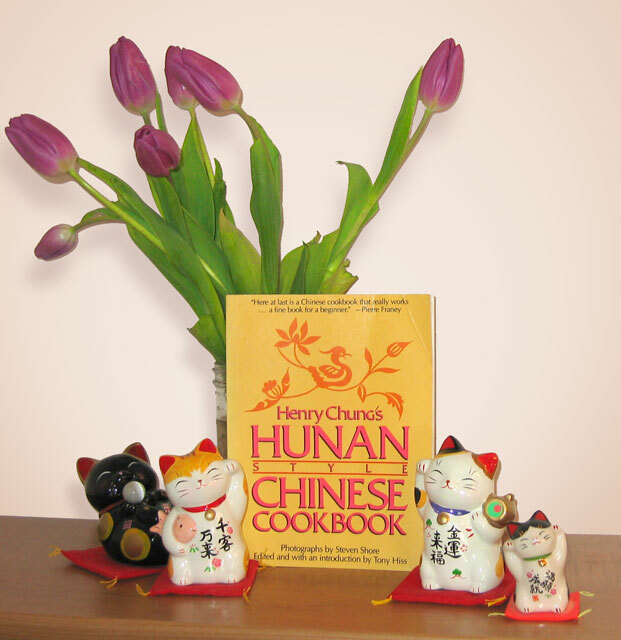 (Her Hunan cookbook is still in the works, or I would send that one along!) These two together represent two of my very favorite Chinese cookbooks and give a good taste of both the old and the new when it comes to Chinese cookbook publishing. And, just to get the lucky winner started cooking the fiery flavors of China–I will also send along with the two books, a packet of Sichuan peppercorns and some dried Tien Tsin chilies. If I could crawl into a box and ship myself to give a personal lesson or two, I would, but I fear the postage might be a bit pricey and the last time I checked, the US Postal Service frowns upon sending live humans through the mail.